Are you fighting a losing battling when it comes to weed control in your backyard? I don’t know about you, but for every weed I pick, it feels as though another 2 or 3 grow in its place. By making a few adjustments to your garden maintenance routine, you can prevent weeds from appearing and give your garden a more vibrant and neat appearance—all year round. Did you know that only a small percentage of the weed seeds in your garden actually germinate? Any seed that isn’t close to the surface and doesn’t receive enough sunlight won’t germinate. So what does this all mean for you? The more you disturb the soil, the more chance you have of bringing dormant weed seeds to the surface of your garden. 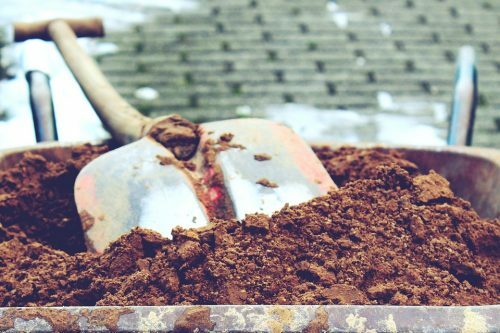 So when it comes to garden maintenance, avoid digging up your soil at all costs! After a night of rain, get in your garden and pull weeds while they’re wet. This will be twice as easy and efficient than weeding in dry conditions. Weeding hard ground can be like fighting an uphill battle. 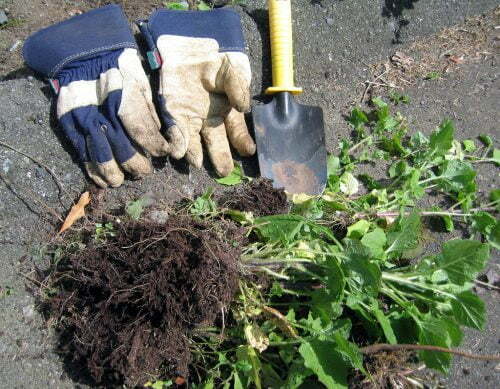 You will struggle to pull any weeds out and, when you finally do, they will often snap at the base. Remember to weed when wet! Your fingers and back will thank me for this advice. In order to germinate, weeds need sunlight. Deprive them of sunlight and you’re halfway to winning the battle. But, how do you do this without hurting your plants as well? 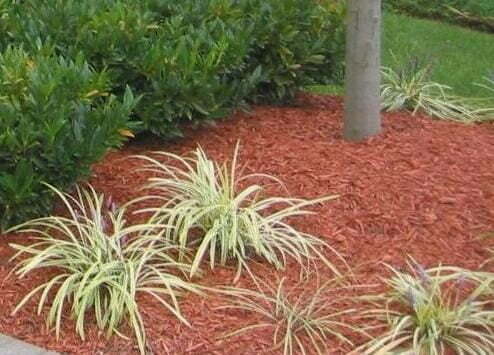 The answer is mulch. Make sure your mulch is at least 5cm deep, so weeds can’t weasel their way through. Any deeper could result in your soil losing oxygen. Weed control isn’t a once-off affair. It’s crucial that you develop a weed control maintenance program so that your weeds don’t get out of hand. Taller weeds that develop a seed head are much more likely to spread throughout your garden–so don’t give them a chance! Every time you mow and snip your lawn, make weed control apart of your routine. It’s much easier to spend 10 minutes spraying smaller developing weeds with poison than spending your afternoon with gloves on pulling waist-high weeds. Just like your lawn, trees and plants, weeds love water. 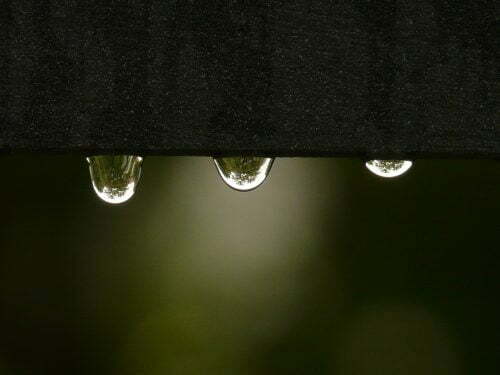 A good dosage of water will vastly increase the chances of weed seeds germinating. So how can you water to your plants, without having a garden full of unwanted weeds? 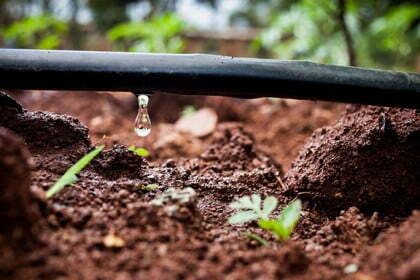 Drip irrigation is the perfect solution. Using drip irrigation to water your garden instead of pop-up sprinkler systems, as it only waters the parts of your garden that need it. You could choose to just hand water the base of each plant, but this can become tedious fast. We’ve provided you all the information you need to keep your garden weed-free, now it’s up to you to put them into action! If you’ve know any weed control methods we missed, please mention them in the comments below.